Sprouting seeds and vegetables is one of the best ways to guarantee you get all the nutrient you need. A sprout is the stage between seed and plant. When you grow a seed you will see a little “tail” grow out from it and that is the sprout. All the nutrients the seed needs to grow are stored inside the seed itself. Some people say that the nutrient in a seed is equal to a mothers milk. But no matter if that is true or not I think it it fair to say that sprouts are extremely healthy. I started sprouting about ten years ago and it was mainly due to the fact that I eat only vegetarian food and that it was supposed to be a great source of health. I then discovered how much fun it was and it later turned into a sport experimenting in which seeds and pulses were possible to sprout and which were not. Today I find it even more fun since I get to do it together with Iris. She is fascinated by everything that grows and the process awakens a lot of questions. I just wish she was as found of eating them as she is of growing them. But that day will come too I am sure. Even though I started sprouting due to being a vegetarian I would encourage everyone no matter what diet they follow to start sprouting. The benefits are so worth it. Sprouts actually has such a complete nutritional profile as to allow us to live on them and nothing else. And that says a lot. 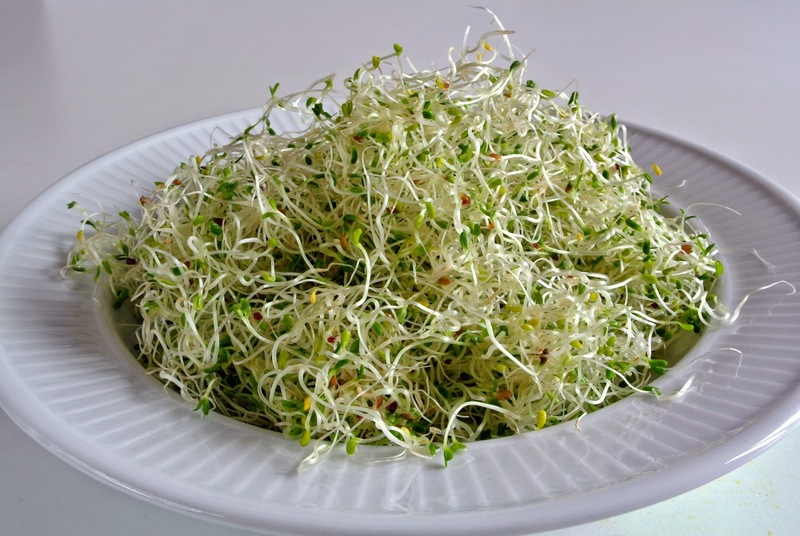 One sprout in particular is so potent that it has been studied and written about in many books and articles and that is the Alfalfa sprout. Alfalfa is not only the sprout with the most complete nutrient palette but it is also one of the easiest to grow. I believe Alfalfa is a great seed to start with. 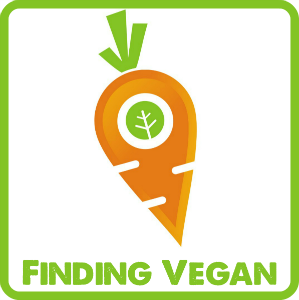 It is possible to find it in many supermarkets and of course in all health food shops. The flavour is mild and perfect for beginners. If you squeeze a little lemon over them they will be really tasty. 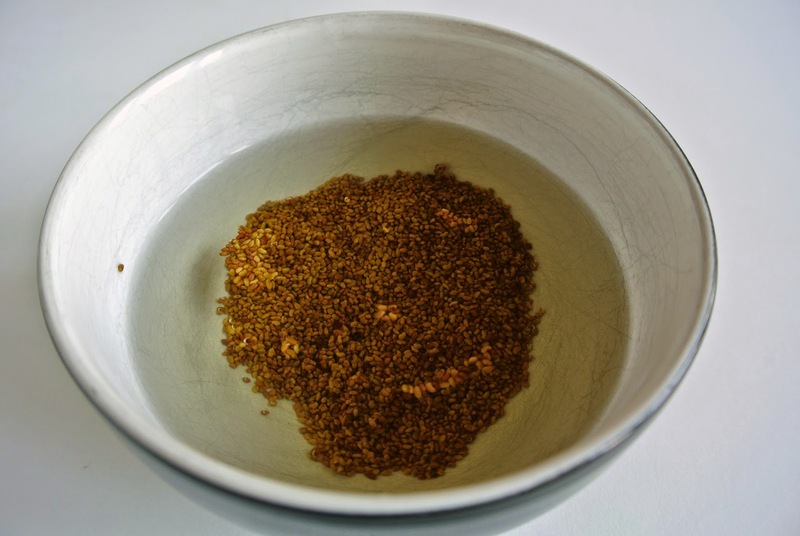 You can add your Alfalfa sprouts in smoothies, salads, on sandwiches, on the side of any main meal and as garnish in for examples soups.I will now give you a step by step guide for how to succeed with your sprouting. 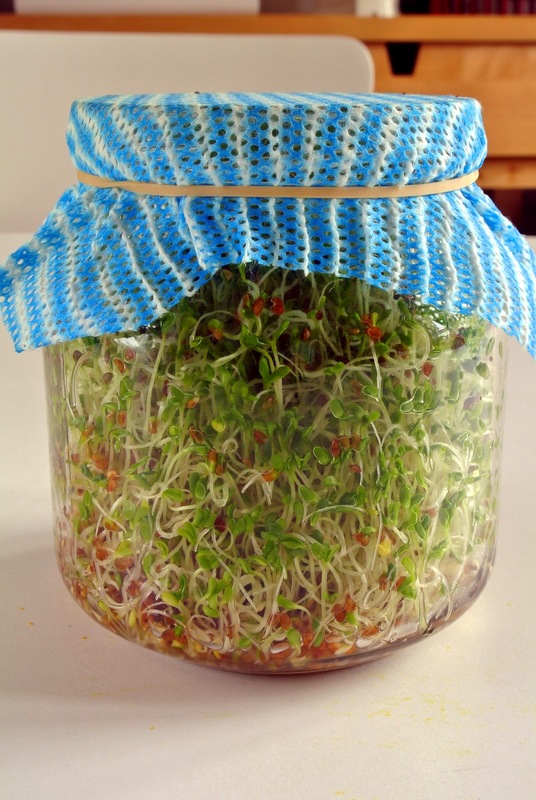 All the times given are for Alfalfa sprouts and if you want to try and sprout any other seed or pulse you might need to change the process a little. 1. 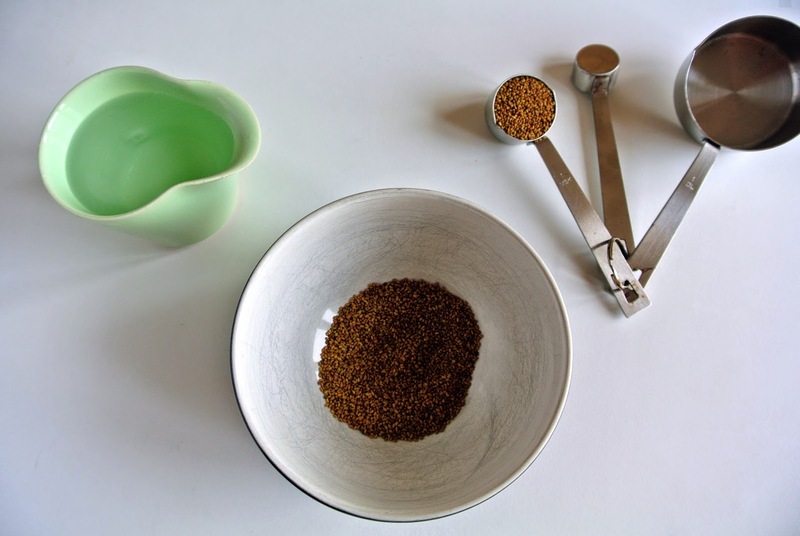 Start by measuring two tbsp of Alfalfa seeds and put them in a bowl. 2. Add water to cover the seeds completely. The seeds will swell so add a lot more water than seeds. Let them soak for at least eight hours. 3. 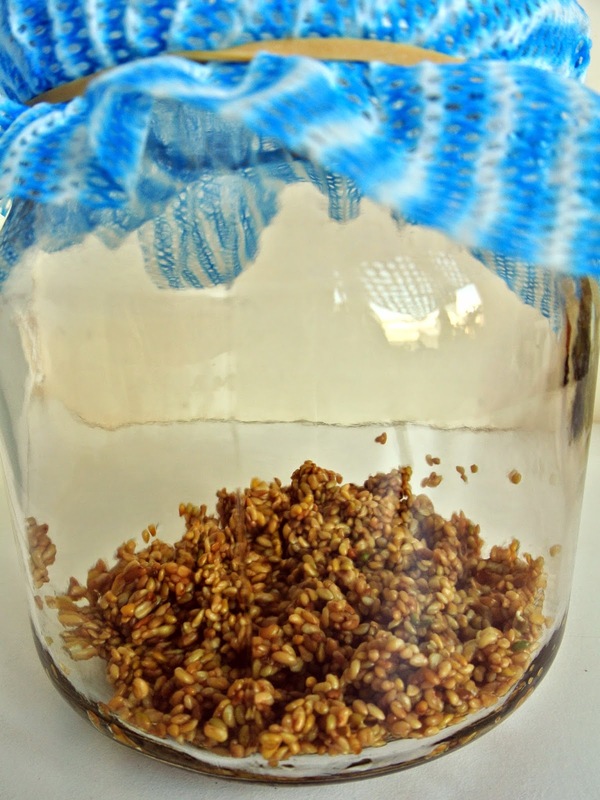 Once the eight hours has passed you filtrate the water and put the seeds in a glass jar. You can divide the seeds into two smaller jars or you can put them all together in a big one. 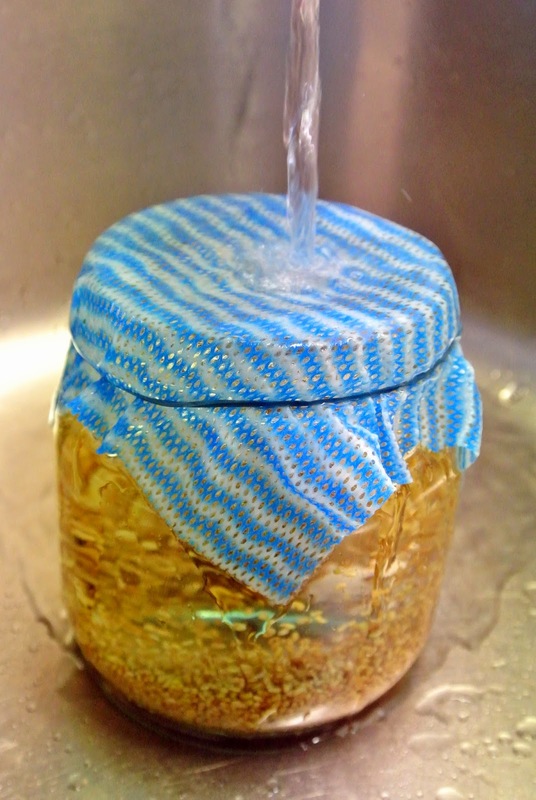 Place a cloth with small holes on top of the jar and hold it together with an elastic. 4. After placing the seeds in the jar you need to wash them properly. Place the jar under cold running tap water and leave until the jar is full. Shake the jar and pour the water out. Repeat three times. ( When you are finished there might be some seeds that has got stuck to the cloth. Simply knock a little on the cloth with your fingertips and they will fall down ). Now you need to repeat the whole washing procedure two times a day for approximately five days until they are done. Wash them in the morning and the evening and make sure they are always moist. 5. After five days they are ready to eat. When you remove them from the jar they will be full of peel from the seeds. Of course you can eat them as well but I prefer to get rid of as many as possible ( think most people eat them ) If you want to remove the peels follow this instruction: Place the sprouts in a strainer ( sil, filter ) and put the strainer inside a big bowl. Fill the bowl with water until it covers the sprouts. Give the sprouts a little stir with your hands and lift the strainer up from the water. A lot of the seeds will be filtrated away and then you toss the water and repeat a couple of times until you are happy with your sprouts. Enjoy! This entry was posted in Green Living, Salads, Side Dish. Bookmark the permalink.